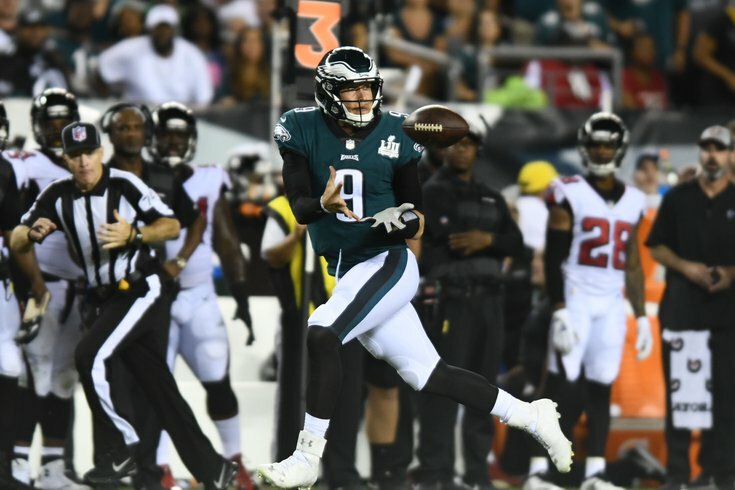 The reigning Super Bowl champion Philadelphia Eagles will host the Atlanta Falcons in the NFL's opening game to kick off the season in a huge, early-season NFC showdown on Thursday night. You excited? The Eagles come into this game handicapped by absences, as they are missing starting quarterback Carson Wentz, wide receivers Alshon Jeffery and Mack Hollins, and linebacker Nigel Bradham. The Falcons, meanwhile, are very healthy. You can find the final injury report here. As we noted in our five matchups to watch, the run game will play a major role in the outcome of this contest. The Eagles, just generally speaking, want to stop the run first and foremost, which will be a difficult task against the Falcons' talented duo of Devonta Freeman and Tevin Coleman. Conversely, the Eagles will want to take pressure off of Nick Foles by getting their own run game going. This game opened in Vegas with the Eagles listed as four-point favorites. That line has since moved drastically in the Falcons' favor, as Atlanta is now favored by 1 in some places. Here are our staff writer picks. For the gambling degenerates looking ahead to Sunday's slate of games, you can find my Week 1 picks here.